The Battle of Antietam (Sharpsburg) is known as the bloodiest day in American History. With nearly 4,000 killed (including six generals) and 23,000 total casualties over these Maryland fields and woods, the battleground is a true testament to the intensity of the American Civil War. Antietam National Battlefield and the surrounding Sharpsburg area retain most of the rural character typical of 1860s Maryland. Unlike the nearby Gettysburg National Battlefield Park, there’s no McDonald’s or misplaced Cyclorama building to spoil the battlefield view or sense of history. In September 1862, after recent successes against the Union Army of Potomac in Virginia, Confederate General Robert E. Lee took his Army of Northern Virginia on an invasion of the North. His plans were ultimately spoiled when Union General George McClellan acquired a copy of Lee’s orders left behind at a Confederate campsite. 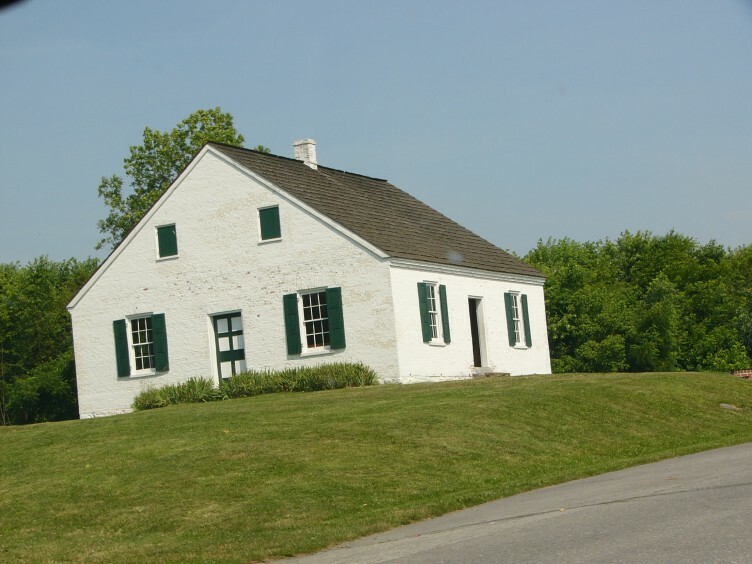 The iconic Dunker Church on the Antietam Battlefield. Photo by Angela Williams. Knowing his enemy’s position and expected movements, McClellan hurried his army to try and trap Lee against the Potomac River. After a brave delaying action by the Confederates at South Mountain, McClellan finally faced Lee across Antietam Creek only a few miles from the swollen Potomac. A successful battle could easily destroy Lee’s army and end the Civil War in 1862. 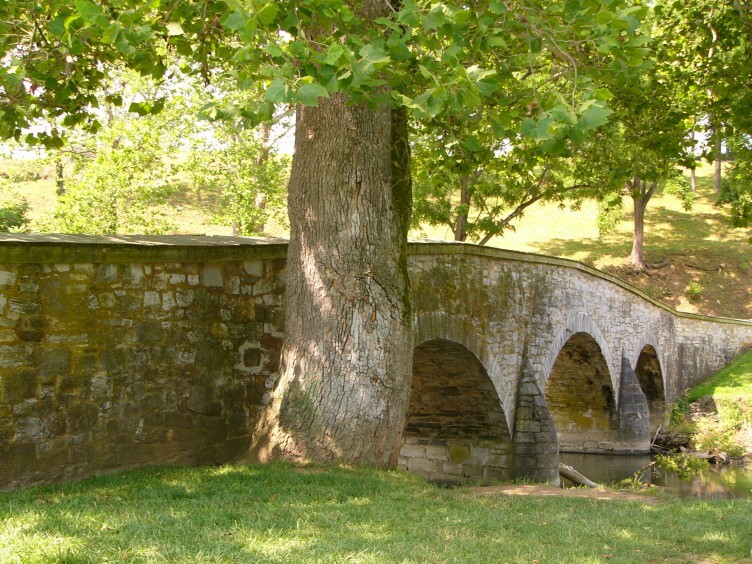 Even with a nearly 2 to 1 advantage in troops, McClellan frittered away the upper hand through uncoordinated, piecemeal attacks, from the morning’s vicious actions in the Cornfield and Sunken Road, to the brave Union charge to take Burnside Bridge in the afternoon. A final Union victory was snatched away by the late arrival of Confederate A.P. Hill’s foot cavalry from nearby Harper’s Ferry, stopping the final Northern push. The trunk of the Witness stands today as it stood during the Battle of Antietam. Photo by Angela Williams. A tactical draw, but a strategic victory since it stopped Lee’s northern invasion, Antietam was enough of a victory to allow President Abraham Lincoln to issue the Emancipation Proclamation. This freed the slaves in the occupied Confederate states, but ironically not in the slave states that didn’t secede from the Union like Kentucky or Maryland. Antietam National Battlefield lies about 10 miles south of Interstate 70, exit 29, close to both Baltimore and Washington. For travelers wanting a more scenic journey, the old National Road from Frederick through Middletown and Boonsboro is recommended. Take Maryland Route 34 west from Boonsboro to reach Sharpsburg and the battlefield. The scenery surrounding the Antietam Battlefield and Sharpsburg still stuns today. Photo by Angela Williams. The park’s visitor center features two different movies that explain the battle and battlefield. Visitors with more time should see the more detailed hour-long feature. There is a self-guided auto-tour that follows the battlefield from north to south. The visitor center also sports a museum and a well-stocked gift shop with many excellent Civil War books. The Dunker Church, Sunken Road, and Burnside Bridge are the highlights of the battlefield, along with the hundreds of monuments. Of special note is the Witness Tree next to Burnside Bridge which was standing during the battle in 1862 and remains so today. Spending an Easter Sunday alone on Burnside Bridge in the rain is an experience I’ll never forget. Sharpsburg retains much of the flavor of a 19th century small town, with little of the commercialization of nearby Gettysburg. The surrounding area is predominately farmland as it was during the Civil War. While Sharpsburg is home to a few Bed and Breakfasts and smaller restaurants, most of the chain lodging and food options lie off of Interstate 70. A restaurant option to consider is the excellent and hip Blue Moon Cafe in nearby Shepherdstown WV, just across the Potomac. A trip to Antietam also works well as part of a journey down Skyline Drive and Shenandoah National Park, about 2 hours from Sharpsburg. 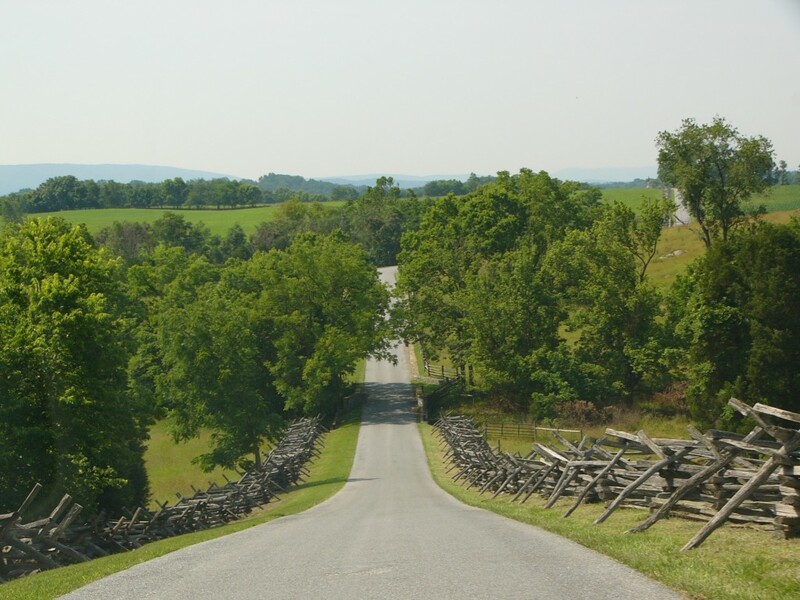 Antietam National Battlefield is one of the most important spots in the United States and remains a must visit for both Civil War buffs and general fans of history.